We think that the huge speed boosts our customers will see while using UHS-II capable devices will be sizable and allow them to use our product to its full potential. Patriot, a leading manufacturer of consumer flash storage solutions, computer memory, SSDs, gaming peripherals and mobile accessories, today announced the release of the EP PRO-II SD and microSDXC cards. Equipped with UHS-II connectors, UHS Speed Class 3 and Class 10, the EP PRO-II cards will provide users with top of the line transfer speeds as well as ample storage. 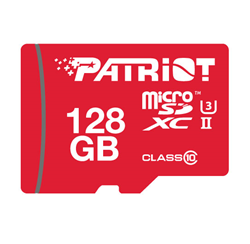 Patriot’s fastest cards to come to market, the EP PRO-II SDXC and EP PRO-II microSDXC cards offer users unrivaled data transfer speeds. With maximum read speeds of up to 280MB/s and maximum write speeds of up to 100MB/s the EP PRO-II cards will provide superior performance for professional videographers and photographers with advanced media devices such as the Panasonic Lumix™ GH4 and the Fujifilm™ X-T1. 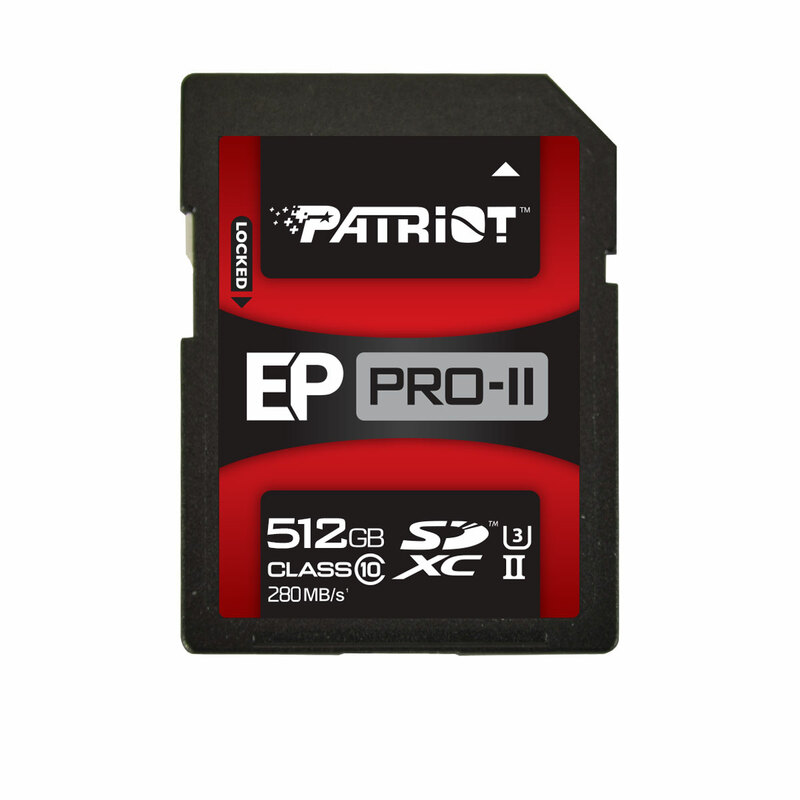 Available in 64GB to 512GB capacities in the EP PRO-II SDXC full card and 32GB to 128GB in the EP PRO-II microSDXC card, consumers will never miss a second due to a lack of storage space. Compliant with the UHS-II, U3 Speed Class requirements, the fastest performance standard available today, the EP PRO-II SDXC and microSDXC cards are capable of 4K video recording, full HD 1080p video recording, capturing HD still images and continuous shooting. The high speed bus interface signals of the UHS-II connector, combined with class 10 speeds make these cards the top rate choice for professional photographers, videographers and consumers looking for professional grade images and recording from their feature-rich devices. Designed to be backwards compatible with lower class speeds and non-UHS-II devices, the EP PRO-II SDXC and microSDXC cards will be operable in older devices as well as the latest and future DSLR and video cameras. Equipped with ECC, built-in error correcting codes, to detect and correct transfer errors, content protection for recordable media (CPRM) and the ability to operate in temperatures ranging from -13ºF to 185ºF (-25ºC to 85 ºC), the EP Pro cards are a first rate choice for consumers looking for quality and performance at a reasonable price. The EP PRO-II SDXC and microSDXC will be available for purchase in August of 2016 online and in stores, worldwide, at select retailers and e-tailers such as Fry’s Electronics, Amazon and Alternate. Prices may vary between regions, see store for details. For more information, visit http://www.patriotmemory.com. Patriot designs, manufactures and markets high performance, enthusiast memory modules, flash memory, SSDs, and mobile accessory products. Patriot products have become world renown for their extreme performance, reliability and innovation. Patriot sells its products through original equipment manufacturers, retailers, e-tailers and distributors throughout the world with operations in North America, Asia and Europe. Patriot Memory LLC was founded in 1985 and is headquartered in Fremont, California, USA.